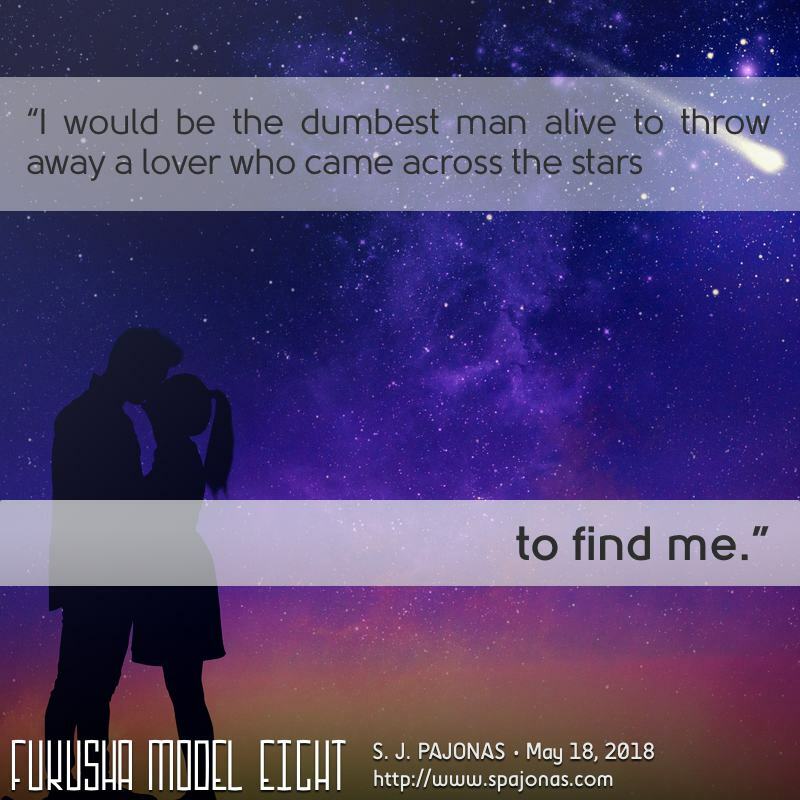 It’s time for another #TeaserTuesday for FUKUSHA MODEL EIGHT! As we know from previous books, my theme of lovers from across the stars continues to be strong in this series. Yumi’s parents, Kentaro and Namika, were from different planets, and they came together to build the Minamoto name on Orihime. So it only seems fitting that Yumi has met Rin on Hikari. But just meeting someone you think you’ll click with doesn’t mean that you’ll have the opportunity to grow the relationship, or even have a normal relationship with that person. This is a lesson Yumi and Rin learn very early on. Imagine finding someone you love and then being separated from them for a long period right in the beginning, kind of like being sent away from home by the military or something similar. Both Yumi and Rin, on their own, spend significant brain space thinking about each other, so how hard will it be once they’re together again? Hard. 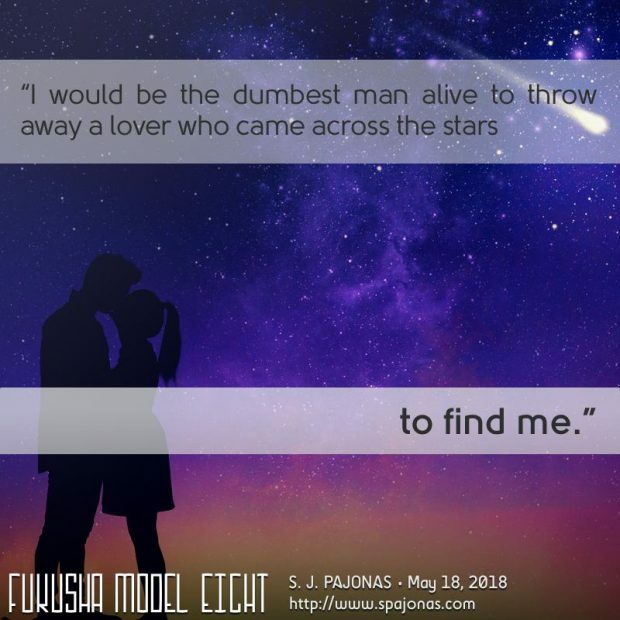 But Rin would be the dumbest man alive to give up a lover who came across the stars to find him. Want to purchase FUKUSHA MODEL EIGHT? Check out FUKUSHA MODEL EIGHT now! I’ll be back next week with another teaser!